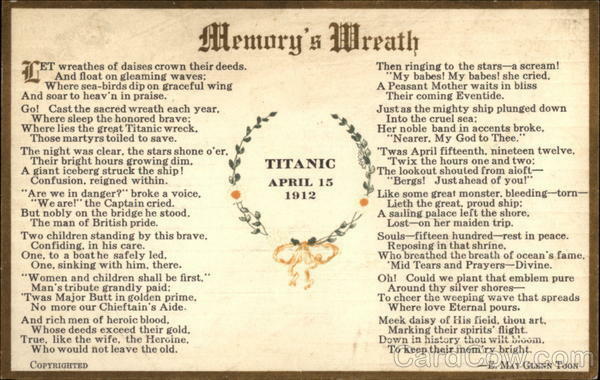 There have been many tributes and memorials to Titanic over the years - this postcard from 1913 was one of the first memorials. Titanic memorabilia has always been hot - a similar card sold last year for over $2200. I believe this card may have been published earlier - unfortunately there is no postmark, and few other specimens to compare it to.